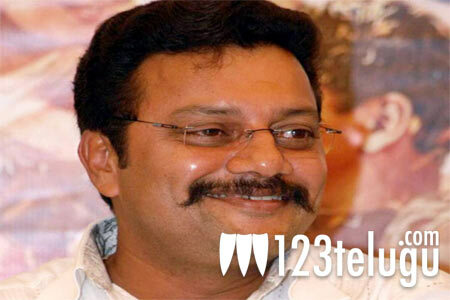 Sai Kumar to play transgender’s role! Dialogue king Sai Kumar will soon be seen in a transgender’s role in an upcoming Kannada film titled Kalpana. Sai Kumar is a popular actor in Kannada and one of his popular films Police Story was first made in Kannada. This is the first time in his career that he’s playing such a bold character. Incidentally, the film starring Upendra in lead role is a remake of Raghava Lawrence’s Kanchana which was a huge hit upon its release in mid 2011. Sarath Kumar had played the transgender’s role in the original version and Sai Kumar will be reprising the role in the Kannada version. Lakshmi Rai is paired up with Upendra in this comedy horror film. Ram Narayan is directing it and V Harikrishna is composing the music. Most part of the shooting is already over and the film will hit the screens later this year. It remains to be seen if the film can repeat the magic of Kanchana and become a huge hit in Kannada as well.